David grew up in South Jersey, about half an hour from Medford. In 1997, he graduated with an A.B. in Physics from Lafayette College in Easton, Pennsylvania. Through his involvement with a Christian fellowship group on campus, he was introduced to the Reformed faith. The more he learned about the Gospel, the more excited he grew about it, and the more he sensed a call to the ministry. After college, David studied at Westminster Theological Seminary in Philadelphia. He first met his wife Maggie at Westminster, where she was studying Biblical counseling. David graduated from seminary in 2001. He and Maggie were married in 2002. David and Maggie live in Medford and have four children. In 2002, David was ordained as a minister and installed as Associate Pastor of Immanuel OPC in Bellmawr, New Jersey. In 2005, the Bellmawr congregation sent him out to plant Immanuel Orthodox Presbyterian Church of Medford. In Rev. Harr, the Lord has blessed Immanuel Orthodox Presbyterian Church with a gifted, energetic, caring young pastor. He is a great preacher and teacher who enjoys opening his home to the congregation and visitors. Since his retirement in 2013, Rev. 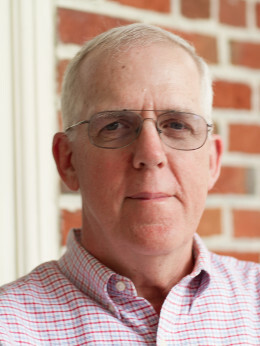 Graham serves as a part-time administrator for Immanuel Church, and as the Stated Clerk of the General Assembly of the Orthodox Presbyterian Church. 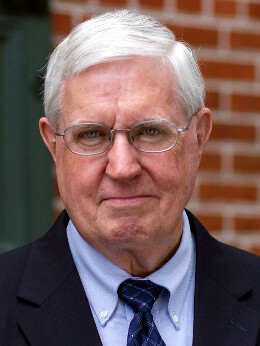 A 1969 graduate of Covenant College in Chattanooga, and a 1972 graduate of Covenant Theological Seminary in St. Louis, he served pastorates in Woodburn, Illinois (1970-1972), Vincennes, Indiana (1972-1979), and Charlotte, North Carolina (1979-1984) before moving to New Jersey to become the Regional Home Missionary for the Presbytery of New Jersey of the OPC (1984-1990). 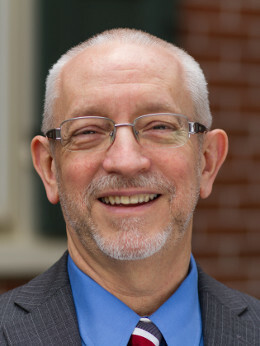 In 1990 he became General Secretary for the Committee on Home Missions and Church Extension of the Orthodox Presbyterian Church, coordinating church planting efforts for the OPC throughout North America, and retired from that position in 2013. The Grahams have two grown children, both married, and both in OP congregations in various parts of the country. He and his wife Nicole have lived in Marlton, New Jersey since 1984, where they have been a part of Immanuel since its inception. Rev. Bacon is a minister in the Orthodox Presbyterian Church and is actively involved in Immanuel OPC, Medford and serves on the Session. Sam grew up in South Jersey and became a member of Faith OPC, Elmer, NJ in 1970. 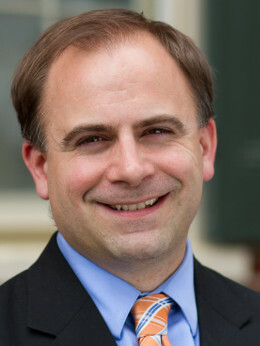 He has served as a pastor in the Reformed Church of the United States and Orthodox Presbyterian Church, and has served on the Sessions of 2 other OPC churches. He is a graduate of Rutgers University, Camden and Westminster Theological Seminary, Philadelphia. He has been involved in Immanuel OPC since its beginning, and on its Session since its organization. Sam and his wife Elaine reside in Marlton, NJ. Jesse grew up in a family of believers, trusting in Christ from a very young age. He joined Immanuel OPC in Bellmawr as a teenager and was part of the original contingent who formed Immanuel in Medford. He attended The College of New Jersey and graduated with a BA in Literature in 2002. He and his wife Courtney have five young children. 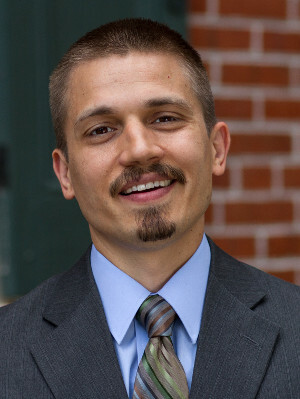 Jesse served as a deacon at Immanuel prior to being ordained as an elder in 2013. 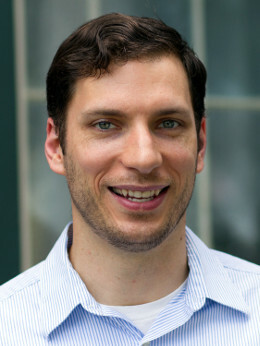 Jesse works as a regional business developer for commuter van-pooling. “Deacons are called to show forth the compassion of Christ in a manifold ministry of mercy toward the saints and strangers on behalf of the church. To this end they exercise, in the fellowship of the church, a recognized stewardship of care and of gifts for those in need or distress.” – The Book of Church Order. Joel was raised in the faith, and has a heart for serving those in need. He grew up in Medford Lakes, and was part of the original group that formed Immanuel. He has also been involved in music from a young age, and currently directs Immanuel’s Youth Choir. Joel has a degree in Computer Science and is a web developer at a large e-commerce company. His hobbies include table tennis, coding, and making pizza. He is blessed with a wife and three young children.